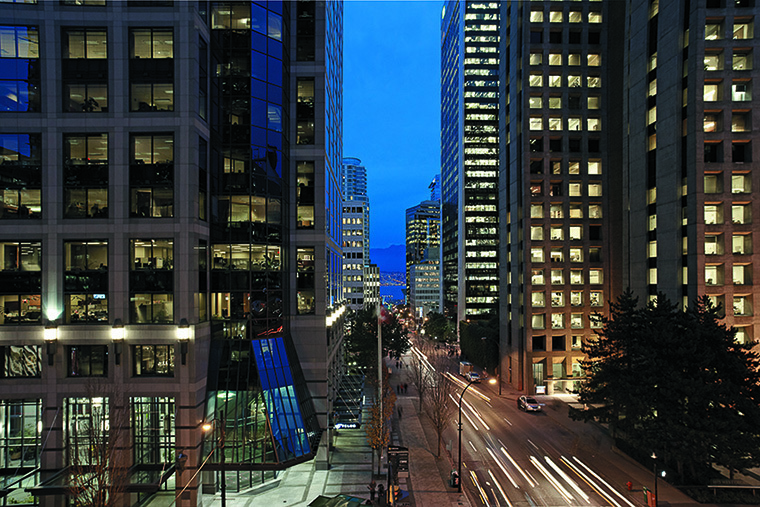 From its inception, the Shangri-La Hotel, a 62-storey skyscraper on Georgia St. at the intersection of Thurlow, brought together the best of Asian and Canadian design aesthetics. Designed by Canadian architect James B. Cheng, it was built in 2009 as Shangri-La Hotels and Resorts’ first business venture in North America. 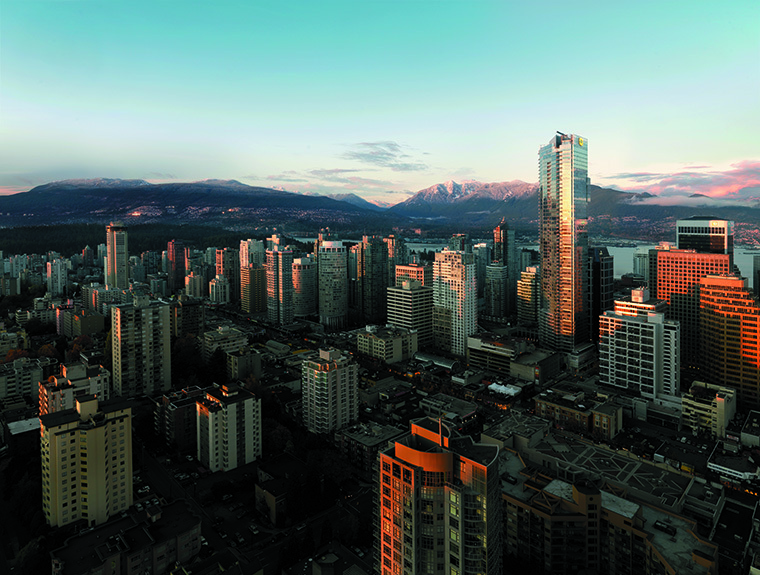 Sightlines from the 300 private residences at the top of the building emphasize its location between the Pacific Ocean and the North Shore Mountains. The first 15 floors house the luxurious fusion-inspired Shangri-La Hotel. “We are a 119-room luxury boutique hotel, which really allows us to cater to each guest and make sure we meet their needs,” says hotel general manager Kari Koskela, who adds that he and his staff meet every morning to review the requirements and preferences of each guest arriving that day. To ensure this approach extends beyond arrival, Koskela relies on Clefs d’Or concierge Stéphane Mouttet. Often, the restaurant Mouttet phones is the hotel’s own MARKET by Jean-Georges. 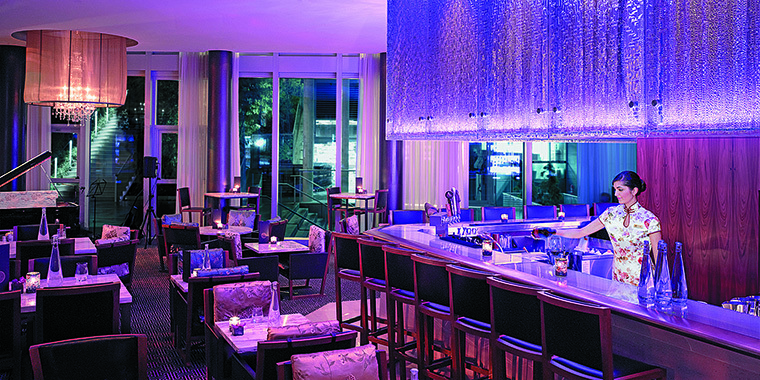 The restaurant is among 25 landmarks created by the three-star Michelin chef de cuisine, Jean-Georges Vongerichten, who is renowned for excellent Asian-European fusion cuisine. He trained chef Montgomery Lau to use fresh, local ingredients in recipes to create a unique taste for Shangri-La Vancouver. 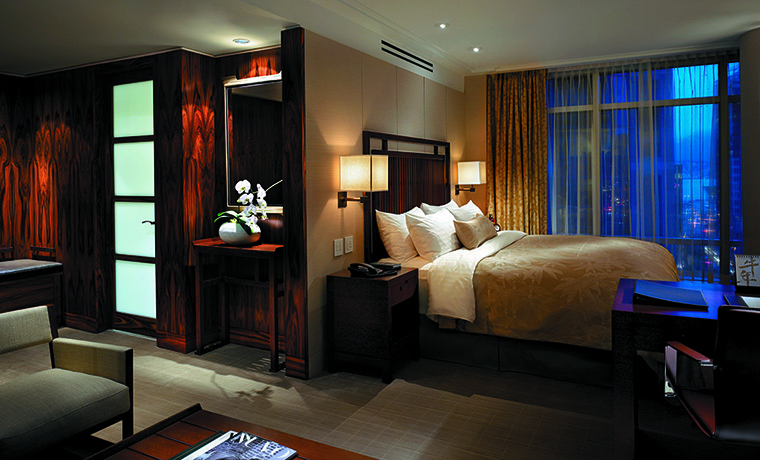 The spa also highlights British Columbian style combined with its Asian-inspired treatment suites. A granite waterfall wall, which garnered designer N.Y. Chu from B+H Chil Design a national award in 2011, guarantees a West Coast ambience. Experts in Chinese medicine and Asian wellness philosophies pamper guests with body wraps, massages and facials, using organically certified seaweed harvested from the coast of Vancouver Island. Next to the spa sits a fitness centre that’s open 24 hours a day, seven days a week. Personal trainers create specific workouts. Or guests can use weights, fitness equipment, an outdoor heated pool and a yoga/pilates/dance studio. After their workout, guests enjoy fresh-squeezed concoctions in the Ginger Bar or gazing at Vancouver’s skyline from a Dedon chair on the balcony. 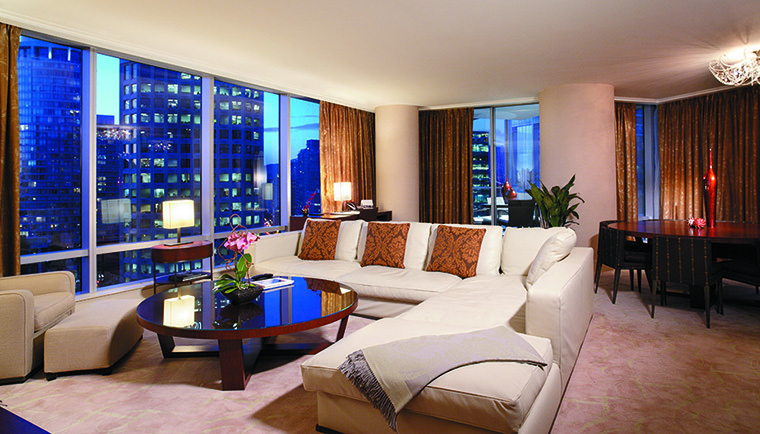 The overall experience of the Shangri-La is a fusion of the best of West and East.